Tackling a paint job, whether done by a contractor or on your own, can be very time consuming, drain a great deal of energy, and make a large dent in your wallet. With that, you don’t want to have to redo the job in a year or two. 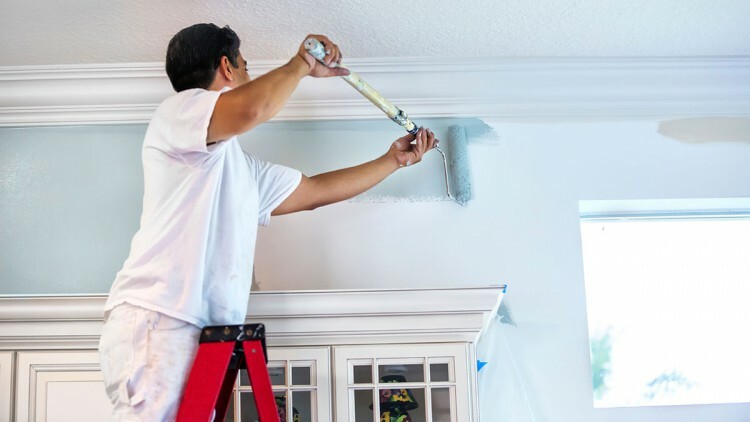 To ensure that you aren’t continuously re-painting your home, we have compiled a list of tips to help protect and extend the longevity of your interior paint as long as possible. You may be thinking of the bumpers that you pop up during a bowling game to help prevent a “gutter ball”. Well, these act in a similar way! Bumpers for a home’s wall may be baseboards, wainscoting, railing, etc. They are used to help buffer bumps to the wall from furniture or human traffic. It is inevitable that your wall won’t fall subject to greasy fingerprints, dog residue, furniture smudges or dings, etc. If you notice an unavoidable smudge mark, tend to it immediately. Monitor high-traffic areas (staircase walls, kitchens, hallways, bedrooms), places where children/pets like to play, or where furniture touches the wall for smudges and dirt spots. Should an area of the wall need to be cleaned, use a damp sponge and water. If the spot is a little tougher to lift, adding a little dishwasher detergent to the damp sponge will help. Ensure that you keep some leftover paint should the wall get a smudge that won’t come off or a ding appears that needs repainting. It is easy to slap a fresh coat of paint over the small area when the paint matches! This is an easy fix. Warm, humid areas allow mold to thrive. This includes rooms such as basements and bathrooms. Watch for noticeable spots in these areas where moisture tends to build up. Mold can be cleaned using a solution comprised of one part bleach to four parts water. The best way to avoid your paint from fading is to invest in high-quality paint up front. Other ways include putting up shades/curtains to dampen the amount of sunlight that can fade wall colors. Get in touch with a professional like Noel Painting to help with your interior or exterior house painting.